Here are seven of the best milk stouts around. If you spend much time staring at tap handles or wandering the aisles at your neighborhood beer store, you’ve probably noticed that milk stouts are popping up everywhere lately. You’ve also probably asked yourself, What the hell is a milk stout? No, that’s not just a clever descriptor to emphasize a stout’s creamy texture. There really are milk-derived ingredients in these brews. Milk stouts—also sometimes called “cream” stouts—are dark beers brewed with lactose, a type of milk sugar. Lactose does not ferment when exposed to beer yeast, and so it lends this style of brew a subtle sweetness. (Or, if the brewer is heavy handed with lactose, a not-so-subtle sweetness.) When properly made, the sweet notes nicely complement the bitter flavors imparted by the beer’s hops and barley. 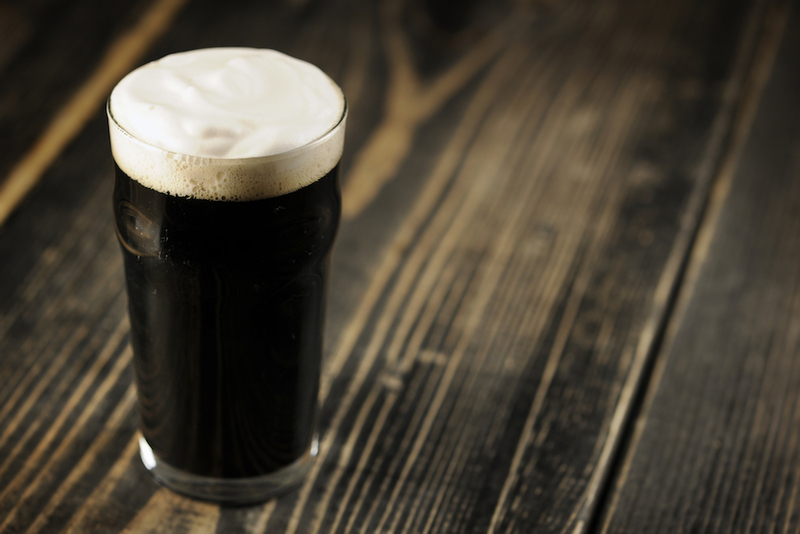 If you’re lactose intolerant, you’ll want to stay away from milk stouts. Otherwise, they’re a tasty alternative to “dry” Irish stouts like Guinness—or to the abundantly hopped bitter ales that tend to dominate the craft beer scene. Curious? Here are seven of the best milk stouts around. This is the last weekend to enter our #Nitrovember contest! Share your Left Hand nitro photos with #LeftHandNitro and you could WIN an @otterbox Venture 25 cooler filled with Left Hand gear. Contest ends November 30th. Chocolate, brown sugar, and coffee notes highlight this Colorado brewery’s flagship beer, which its makers have dubbed “America’s stout.” While this nitrogen-infused brew’s creamy texture is appealing even when served ice-cold, its full flavor and complexity emerges when it’s allowed to warm up a few degrees. (The bottled and non-nitro versions are also good, but a step down.) If you’re interested in milk stouts, this beer is your jumping-off point. Brewed with coffee, cocoa, spices, and pasilla chile peppers, this is Southern California-based Stone Brewing’s take on “Mexican hot chocolate.” While there’s a lot going on in this beer—from layers of baking spice to a noticeable patina of pepper-derived heat—its elements come together so seamlessly that it goes down easy for an 8%-ABV beer. This is a great if you’re sitting near a fire on a cold winter night. Milk Stout by Lancaster Brewing Co. Brewed since 1995 and touted as America’s “original craft milk stout” by Pennsylvania-based Lancaster Brewing, this beer is as creamy and smooth as you would expect after glancing at its dense head and dark-mocha hue. It’s on the sweeter end of the milk-stout spectrum—due in part to its low alcohol content—but it’s delicious, not cloying. Madagascar by 4 Hands Brewing Co.
Have your pie. This is our kind of Thanksgiving dessert! Break out the good stuff to enjoy with friends and family today. Our tasting room is closed today, but we reopen at noon on Friday. A very Happy Thanksgiving to all of you from the 4 Hands fam! Cheers! Released each January, this Imperial milk stout from Missouri’s 4 Hands Brewing is aged in bourbon barrels and named for the abundant Madagascan vanilla beans added to it during the brewing process. All that vanilla comes through on the nose and palate, along with chocolate and an almost licorice-like hit of bourbon. It’s an unconventional, memorable interpretation of milk stout. Cream Stout by Samuel Adams / Boston Beer Co.
Lots of roasted, toasted grains give this still-milky stout a dryer flavor profile than some of the sweeter beers on this list. If you want all the chocolate, toffee, and coffee goodness of the style with a little less body and a little less alcohol, this 4.9% ABV brew from Sam Adams is the easy-sipper for you. Moo-Hoo Chocolate Milk Stout by Terrapin Beer Co.
Aromas of milk chocolate and medium-roast coffee turn to mildly bitter, spice-and-cream-tinged goodness on the palate. The sweetness and chocolate really come through in this brew from Georgia’s Terrapin, especially if you take your time over it. Rich, smooth, and creamy, this beer from North Carolina-based Duck-Rabbit checks all the boxes when it comes to satisfying milk stouts, and does so with superb balance and drinkability. Black coffee and caramel come through on the nose and palate, but don’t overpower the sweet chocolate and burnt-malt flavors that help round out its character.